Lesson: During the final weeks of their mother’s illness, a family friend picked up Thérèse and Céline and cared for them every day. However, even though they were not with their mother, she was always on their minds. The greatest consolation we can obtain, at the death of a loved one, is our knowledge of what awaits them in Heaven. This knowledge can lift the heavy burden of grief and redirect all feelings of sadness. Reflection: How completely are you able to put your eyes upon the glories of Heaven? You must long for Heaven for yourself and for all whom you love. However, this may often be quite a challenge to do. It may instead be far easier to turn to the troubles of your daily life and lose sight of your eternal destiny. Living with your eyes fixed upon Heaven is not a denial of your life here on Earth. Rather, by allowing this eternal perspective to become your daily focus, all that you encounter each day is put into perspective. Each action of your day must be motivated by a longing to be with God forever in Heaven. Heaven must be your singular goal. Allow yourself, this day, to imitate the faith of little Thérèse and Céline. Allow them to inspire you and to teach you the meaning and purpose of life. Dearest Saint Thérèse, as your mother lay dying, your heart was filled with sorrow, but it was also filled with joy as she was so very close to Heaven. Pray for me, that I may keep my eyes on the ultimate goal of life and will never fail to do all things so as to achieve the purpose of life. In the end, all that matters is Heaven. May this truth be the lens through which I see every action of my life and the motivation for everything I do. Saint Thérèse, pray for us. I must tell you that after my Mother’s death my naturally happy disposition completely changed. Instead of being lively and demonstrative as I had been, I became timid, shy, and extremely sensitive; a look was enough to make me burst into tears. Fortunately, she had the loving care of her father, whose “heart seemed endowed with a mother’s love,” and was also cared for by her sisters, who “were no less tender and devoted.” But despite the great blessing of her father and sisters, she missed her mother terribly. Loss affects us all in different ways. Thérèse, being quite affectionate, felt her mother’s absence deeply. She lost her naturally happy disposition and became shy and timid instead. This experience was not so much a result of her weakness; rather, her profound feelings of loss were a result of how deeply she loved. It may be surprising to discover that the more ardently we love, the more vulnerable we are to sorrow and hurt. Those who love little will lose little when their loved one is taken away. But those who love much will lose much when their loved one is taken away. As a result, some will choose to love little so as to avoid the potential for hurt. But doing so would be a tragedy. It is much better to love with all your heart, even if that love ends with much hurt. The sorrow in Thérèse’s heart was a wound of love. She bore that wound well, allowed the balm of her father’s and sisters’ love to help heal it, and grew stronger in character as a result. A heart that loves, experiences loss, and then heals through love is a heart that is truly blessed. Reflection: How deeply do you love in life? Some are afraid to love or to let themselves be loved. Others give and receive love in a disordered way. But when love is pure and holy, be it among spouses, children, siblings or friends, the joy experienced from that love is profound. Are you willing to be vulnerable in life and to take the risk of giving another your heart? Do not hesitate. And, in the end, if your love results in hurt or loss, seek healing, have hope and make the choice to love again. Dearest Saint Thérèse, as a young child you loved your mother with a pure love. Her death left a deep wound in your heart, but it was a wound of love. As a result, the wound healed in such a way as to make your heart even more capable of love. Pray for me, that I may give my heart completely out of love to others, becoming vulnerable to both the great joys of love and the potential hurts that may result. May I imitate your pure love now and always. Saint Thérèse, pray for us. In Lisieux, Thérèse spent many hours with her father. They went on long walks, she played in the garden as her father worked, they enjoyed fishing expeditions and picnics, and she was introduced to the Carmelite nuns for the first time. During this first encounter, her father said to Thérèse, “Look, little Queen, behind that big grating there are holy nuns who are always praying to Almighty God.” Nine years later, Thérèse would be among them. It was the tragedy of her mother’s death that brought this “little Queen” to Lisieux. But in God’s providence, and through the daily care of her “king,” this queen would become the greatest saint Lisieux had ever known. Reflection: God’s ways are not our ways nor are His thoughts ours. His ways and His thoughts are infinitely above our own (Cf. Isaiah 55:8-9). Without experiencing the loss of her dear mother, at the age of four, Thérèse and her family would have never moved to Lisieux. And if they never moved to Lisieux, Thérèse and her sisters would most likely never have entered into the Carmelite convent, which became their new Heaven on Earth. From the walls of that convent, the world has been taught so many beautiful lessons about love. What has happened in your life that brought about something unexpected or unplanned? Too often when the unexpected happens, we have a hard time adjusting and accepting the change. But change can lead to the fullness of life that God has in store for us. Sometimes the change we experience in life is painful; sometimes it may not be. The bottom line is that God uses the ordinary circumstances of our life, however they unfold, to do great things through us. Thérèse and her family did not anticipate that their move to Lisieux would ultimately result in so many blessings for the Church and world. Too often, we do not realize that the daily circumstances in which we find ourselves may actually be the beginning of God’s glorious will for our lives. Reflect, today, upon any unexpected situation you find yourself in. Look at it with hope and anticipation of all that God has in store for you. You may not see the good fruits immediately, but if you are faithful to the daily will of God, the end will one day be glorious. Dearest Saint Thérèse, your move with your family to Lisieux was due to the tragic loss of your mother. But through that tragedy, God did great things in your life and in the lives of your family. Through you all, He brought great blessings upon the Church. Pray for me, that I may accept every change in my life with faith and with love, knowing that God will do great things through me if only I remain faithful to His perfect plan. Saint Thérèse, pray for us. These two images from nature impressed little Thérèse: the “thunderbolt” and the “beautiful jewelled drops.” Why was it that these two images from creation impressed her so much? First, we know that God is the Almighty. His power is perfect in that He can do all things. Most children who witness a thunderbolt would run in fear. But for Thérèse, she saw the closeness of God, the closeness of the Almighty God who contained all power within Himself. But God is not only the Almighty, He is also our most tender and gentle Father. Thérèse saw these “beautiful jewelled drops” and saw in them a reflection of the drenching love of a most gentle Father in Heaven, seen also in her earthly father who carried her in his arms. Creation is capable of many lessons. Nature itself reveals the power, splendor, goodness and mercy of God in countless ways. When we have a simple faith, and eyes that are attentive, we will not miss the reflection of God all around us. Reflection: Do you see the presence of God in creation? First and foremost, you must seek to recognize God reflected in the soul of every person, including your own soul. From there, you must seek to discover the reflection of God in nature and in all that God has made. Spend time, this week, paying attention to the way God reveals Himself in that which He has made. Ponder your own soul, the souls of others, the gentle breeze, the morning sky and the starry night. Listen to God speak, and allow Him to reveal His many attributes and His love. Dearest Saint Thérèse, you were attentive to the many ways that God is reflected in all of creation. Pray for me, that I may also encounter the divine presence wherever I go. May I imitate your simple faith and your humble intuitiveness. Saint Thérèse, pray for us. Lesson: As Thérèse and her father would walk through the streets of Lisieux, Thérèse loved to give alms to the poor. One day, she saw a man who was crippled and gave him a penny. He smiled and refused this gift, causing Thérèse much sorrow. Perhaps he was embarrassed to be offered this alm from a six year old girl, or perhaps he didn’t need it. But his refusal did not cause Thérèse to give up on her act of charity. Instead, she remembered that she once heard that God never refuses the prayers that are prayed on the day of your First Communion. At that moment, though her First Communion was still five years away, Thérèse resolved to pray for this man on that day. Sure enough, she never forgot about this promise and on the day of her First Communion, she entrusted this man to God through her prayers. Reflection: Sometimes our acts of love are rejected by another. As a result, many will choose not to persevere in their charity. Thérèse was different. This refusal only caused her to be more determined in her love and it elevated her gift from a penny to a powerful prayer that God could not refuse. We also must be determined never to cease offering God’s love to others. Have you attempted to reach out to another in love, only to have that love rejected? This painful experience can lead to discouragement. Rejection is hard to overcome. Spend time today reflecting upon any experience you have had like this. Reflect, also, upon how you responded to this rejection. Seek to imitate little Thérèse and commit yourself to pray for those who have rejected your love. No one can reject our prayer, and our prayer is often the most important gift we can give. Dearest Saint Thérèse, you set a beautiful example of perseverance in love when you chose to pray for that crippled man on the day of your First Communion. Pray for me, that I may also imitate your devotion and charity. May I always offer the good alm of prayer for those from whom I have experienced any form of rejection. Saint Thérèse, pray for us. Lesson: One evening, in May of 1878, when Thérèse was only five, her sisters left her at home while they attended May devotions at church. They decided Thérèse was too young to attend. However, this did not stop her from her devotions. She arranged an altar and asked the maid, Victoire, to attend her service. Victoire happily obliged and brought with her two candles, which she knew would delight Thérèse. At first she hid the candles in her apron, wanting Thérèse to light the very small candles she already had, knowing they would go out quickly, so that she could then surprise Thérèse with her gift. Thérèse did light her two small candles and asked Victoire to pray the Memorare as her tiny candles burned. Instead of praying the prayer, Victoire laughed, knowing that once the candles burned she would surprise Thérèse. Thérèse, however, became quite angered at Victoire’s laughing and cried out, “Victoire, you naughty girl!” Shocked, Victoire showed Thérèse the new candles she had hidden, and Thérèse realized that Victoire’s laugh was on account of her excitement at the gift rather than at Thérèse. Thérèse immediately felt much sorrow at what she had said and quickly learned a powerful lesson about anger. She firmly resolved, after that incident, never to lose her temper like that again. Reflection: What mistakes have you made in life in which you ignored the lessons you could have learned? Sometimes, when we sin, we justify or rationalize our act and fail to learn and grow. Other times, we act as if our sin was “no big deal,” and we end up offering only a muted apology, failing to make a resolute change. Do not let the lessons your sins can teach you go unlearned. God can use even the smallest sin to help us grow in holiness. Once we repent of our sins, be they big or small, God not only forgives, He also transforms our sin into a source of holiness. Dearest Saint Thérèse, though you were not perfect, you were quick to acknowledge your sin and you were quick to change. Pray for me, that I may always see my sin clearly. May I humble myself when faced with my sin and, through repentance, grow in virtue and holiness of life. Saint Thérèse, pray for us. Lesson: Looking back on her First Confession, Thérèse states: “I came out of the Confessional more joyful and lighthearted than I had ever felt before.” She was deeply impressed with numerous blessings she discovered within that holy Sacrament. First, when Pauline told her that she would be confessing her sins directly to God when she confessed to the priest, Thérèse believed her sister and asked her if she could tell Father Ducellier that she loved him with her “whole heart” since it was really God to whom she would be speaking to through him. Thérèse was able to see the grace of God with her eyes of faith. First, she saw God in the priest when she confessed to him. Second, she realized that her rosary was now changed by a blessing and hoped to discover the change with her own eyes. Though grace is not immediately visible to the eye, we must seek to perceive its effects, and we must allow ourselves to be deeply impressed by the way God comes to us through countless instruments and in varied ways. Reflection: Are you impressed by the working of grace all around you? Do you see God’s grace at work? God is present to you in the most profound way through the Sacraments, including in the person of your priests. His grace also comes to you through the Holy Scriptures, through sacred images and other blessed objects. He is present in every act of charity you encounter and in numerous other ways. Reflect upon how attentive you are to the presence of grace all around you. If you do not see this grace, seek to imitate the simple faith of little Thérèse. Allow your eyes to be opened so that you will be in awe of God every time He showers His blessings upon you. Dearest Saint Thérèse, your simple faith allowed you to see God present to you in the many ways that you encountered Him every day. You discovered Him in the Sacraments, in your blessed rosary, and in many other aspects of your life. You were impressed by grace and in awe of it. Pray for me, that I may also have the eyes of faith necessary to perceive the work of God as He comes to me each and every day. Saint Thérèse, pray for us. Lesson Twenty-One — A Lesson from the Sunday Feast! Lesson: Most children dream of exciting events such as festivals, sleepovers, parties and the like. Yet, what caused little Thérèse much excitement were the feasts of the Church year. The feasts! What precious memories these simple words bring to me. I loved them; and my sisters knew so well how to explain the mysteries hidden in each one. Those days of earth became days of Heaven. Above all, she loved to attend the procession of the Blessed Sacrament. Her heart was especially filled with joy when she was able to throw flowers toward the Sacred Monstrance carrying our Lord, so as to express her love for Him. She also had a deep love for the weekly feast of Sunday, the Lord’s day, and it brought her much joy to attend the Holy Mass with her family. She recounts that, even though she would always listen attentively to the sermon at Mass, she would also learn much wisdom simply be watching her father’s face. What a beautiful way for this small child to hear the Word of God. She listened to the priest at Sunday Mass but was also attentive to the way the priest’s words affected her father. Her father’s reception of the Word of God was evident, and little Thérèse was nourished by the Word of God as it radiated from his face. Reflection: We teach many lessons in life by our words, but we teach just as many by our actions and even by our demeanor. Parents especially share the Word of God with their children by allowing God’s Word to illuminate their countenance as their children quietly observe. Ponder this lesson from two perspectives. First, who radiates the Word of God to you? Be attentive to that person and listen to the “sermon” their holiness of life teaches. Allow the presence of God in their life to teach you, lead you and make you holy. Secondly, ponder the great importance of engaging in holy Mass each week. First and foremost, this is for the good of your own soul, but your fidelity is also for the eyes of many others. Allow others, especially your family, to see your active life of faith, and do not hide your deep love of God from them. God desires to use you, and even your holy demeanor, to share the great mysteries of His love. Dearest Saint Thérèse, you were like a sponge, soaking up the Word of God in many ways. You were attentive to sermons and feasts and were also attentive to the faith that radiated from the face of your father. Pray for me, that I may also be attentive to the grace of God radiating from the face of others. As I do, may God shine brightly from my life for all to see. Saint Thérèse, pray for us. Lesson: On various occasions, when Thérèse was walking at night with her father, she would look up at the stars and gaze upon them. Upon seeing what appeared to be the letter “T” in Orion’s Belt, Thérèse was impressed. “Look, Papa,” I would cry, “my name is written in Heaven!” Then, not wishing to see this dull earth any longer, I asked him to lead me, and with my head thrown back, I gazed unweariedly at the starry skies. Though this was a simple act of a child, we can discover much meaning in its symbolism. First, as on other occasions, Thérèse admired the beauty of God’s creation. The stars were fascinating to her, no doubt because they were partly a reflection of the transcendence and magnificence of God. Secondly, Thérèse was able to throw her head back to gaze at the stars as she walked with her father at night, because she trusted her father to guide her steps. Her utter confidence in the care of her father freed her to gaze at the heavens. This same confidence must be present in our lives as we walk by faith. This world and our journey through it is filled with darkness at times. But through that darkness we are bathed with countless tiny bright lights of grace and mercy. These gifts of grace are as countless as the stars, and we will be aware of them only if we abandon ourselves in trust to the guidance of our Father in Heaven. Reflection: How freely do you abandon yourself and trust in the guiding hand of God in your life? We are called to walk by faith in this life, not by our own sight. Do you walk by faith? Ponder this precious image of little Thérèse being guided along the way by her father as she gazed toward the heavens, soaking in the magnificence of God’s creation. Let that image teach you to trust in God with a childlike confidence. Do not hesitate or else you will miss the multitude of God’s grace. Dearest Saint Thérèse, you trusted in your father’s guiding hand with a childlike confidence. The confidence you had in your father was the same confidence you had in your loving God. Pray for me, that I may completely abandon myself to the Father in Heaven and, being guided by His gentle hand, walk in awe of the countless graces He bestows upon the world. Saint Thérèse, pray for us. Lesson: Pauline, Thérèse’s older sister and “new mother,” was very good at caring for Thérèse and helping her mature in character. One motherly quality that Pauline exercised over little Thérèse was her attentiveness to the smallest faults that Thérèse had, so as to help her overcome them. One area of growth Pauline wanted Thérèse to overcome was small fears, for instance of the dark. Sometimes in the evening Pauline would send me to fetch something from a distant room; she would take no refusal, and she was quite right, for otherwise I should have become very nervous, whereas now it is difficult to frighten me. Thérèse later realized that this was an act of love by Pauline, in that Pauline sensed a certain nervousness or fear in Thérèse that she wanted her to overcome. By being gentle but firm in sending her to a distant room in the evening, Thérèse’s little character was strengthened and she conquered her fears. Reflection: Our love of others must lead us to see their needs. Authentic love will also show us the way by which we will help them to grow in the way they need to grow. Attentiveness to the details in the lives of others and prudence to know how to help them grow are central virtues in a relationship of love. Oftentimes, in the midst of relationships, loved ones’ weaknesses and faults may become very noticeable to you. When you see the faults of others, how do you respond to them? Do you act with criticism, anger or disgust? Or do you lovingly look for ways to help them grow in virtue? Reflect, today, upon those closest to you and especially upon the weaknesses they have. Reflect also upon how God may want you to help them overcome those weaknesses so as to obtain the holiness God wants of them. Dearest Saint Thérèse, you were greatly blessed by a motherly sister who helped you overcome your childish fear. Pauline taught you with gentleness, prudence and firmness, and you responded with openness. Pray for me, that I may also respond to the guidance others give to me. Pray that I may always know how to guide others in the gentle ways of God. Saint Thérèse, pray for us. One day I expressed surprise that God does not give an equal amount of glory to all the elect in Heaven—I was afraid that they would not all be quite happy. Pauline explained to Thérèse her understanding of the fullness of joy that each saint receives in Heaven by asking Thérèse to compare the difference between a thimble and a large glass. Pauline filled each one to the top with water and then asked Thérèse which one was fuller. Thérèse replied that they each were as full as the other. Pauline then explained that the same is true with the saints in Heaven. Each saint in Heaven is full of grace and, therefore, each saint was perfectly happy. Thérèse understood from this lesson that the least of the saints in Heaven do not envy the greatest, because each saint enjoys the fullness of God to the extent that each one’s soul is capable. This lesson brought the great mysteries of God down to the simple mind of Thérèse. This lesson also teaches that, while here on Earth, we each have the ability to grow in merit before God and, thus, to increase our Heavenly reward. While all saints in Heaven enjoy perfect joy, some have a greater capacity to shine forth with the beauty of God on account of the lives they lived on Earth. This should motivate us to seek greatness now so that our souls will be stretched to the greatest extent possible, enabling us to be eternally filled with the presence of God to the greatest extent. Reflection: As you think of Heaven, do you desire to become the greatest of saints? Or are you satisfied with becoming the least of saints? It’s true that every saint is filled with perfect joy, but it’s also true that we determine our capacity for that fullness here and now as we journey through life. Reflect upon this dual focus we must have. First, we must strive to be saints. But second, we are invited to become great saints. Choose both of these goals today, and your reward in Heaven will be great. Dearest Saint Thérèse, the capacity of your soul to contain the presence of God grew exponentially as you journeyed through life. In Heaven, you are truly among the great saints of God. Pray for me, that I may also imitate your burning love of God and thus grow in my capacity to be filled with His glorious presence. Saint Thérèse, pray for us. 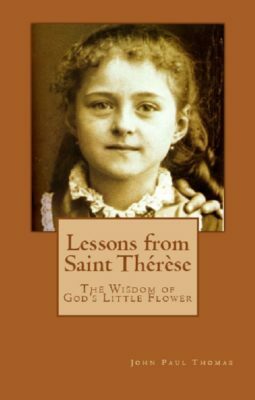 Lesson: When Thérèse was a child, God gave her a vivid vision of her father in an incapacitated state. In this vision, she saw him as an old man, walking silently with a veiled face through the forest. Thérèse called out to him in this vision, but he did not answer. The vision was so real to her that she convinced her sisters to go into the forest to look for their father so as to understand why he looked the way he did. Though Thérèse’s vision remained a mystery to her as a child, later in life this vision did come true. At age sixty-six, Thérèse’s father suffered from two strokes and then suffered from paralysis for the next five years, three of those years in a hospital and the final two at home where he was cared for by two of his daughters. Thérèse never forgot this vision she had of her father when she was but a child. Later in life, she continually pondered its meaning. “Why did God give this light to a child who, if she had understood it, would have died of grief?” “Why?” Here is one of those incomprehensible mysteries which we shall only understand in Heaven, where they will be the subject of our eternal admiration. My God, how good Thou art! How well dost Thou suit the trial to our strength! One important lesson from this situation is that not everything God does in this life will make sense to us. Some things are to remain “incomprehensible mysteries” until we discover their meaning and purpose in Heaven. But we can be assured that when we do get to Heaven, every mystery we experience in this life will be made clear and will become the cause of our joy and admiration of God. Reflection: Is there something in your life that remains an “incomprehensible mystery” to you? Perhaps something has happened to you or to a loved one, and you feel quite certain that God has permitted it, but you know not why. Or perhaps there is some other aspect of your life, or the life of a loved one, that has left you puzzled and even confused. As you reflect upon your own mysteries of life, examine also if you are able to imitate Thérèse’s faith and be content with knowing that some things will only be fully understood in Heaven. Too often we want everything to be made clear to us, but this is not always God’s will. Sometimes God wants certain mysteries of life to remain so until Heaven. This cannot affect your faith negatively, rather, it must be the cause of much deeper trust in the providence and wisdom of our Almighty God. Dearest Saint Thérèse, your faith was pure and strong, yet some things remained a mystery to you. As you encountered the mysteries of life, you grew in trust and admiration of God whose wisdom is beyond the human mind. Pray for me, that when I encounter the mysteries of life, I will respond with deep faith and abandonment to the unfathomable wisdom of God. Saint Thérèse, pray for us. Lesson: When Thérèse was six or seven, she saw the ocean for the first time. While at the beach, Thérèse overheard a man and a woman tell Mr. Martin that Thérèse was pretty. Thérèse had never heard this about herself before and was, at first, delighted to hear it. But she quickly dismissed those comments. My sisters were most careful never to talk before me in such a way as to spoil my simplicity and childish innocence; and, because I believed so implicitly in them, I attached little importance to the admiration of these people and thought no more about it. It’s an interesting contrast to consider. Was it better that Thérèse soaked in the comment about her being pretty? Or was it better to be more attentive to her sisters who did not ever talk to her in that way? It’s quite common to speak of a child as being pretty, adorable or cute. But is it helpful to draw attention to this in the child’s hearing? Some may believe that these statements are necessary so as to build up a child’s self-confidence. But that’s the key. 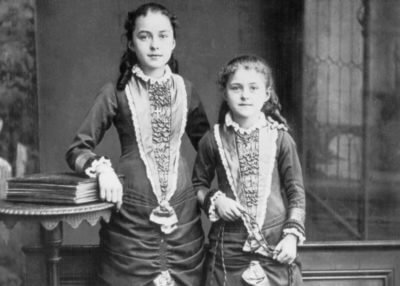 Thérèse’s sisters were not interested in helping Thérèse to become self-confident, becoming overly attentive to her external appearance. Rather, they chose to overlook this more superficial characteristic and to instead focus upon the deeper and more important truths of Thérèse’s precious soul. Thérèse, for her part, having such an implicit trust in her sisters, would have easily been persuaded to become attentive to her external appearance in the eyes of others had her sisters regularly made this their focus. A difficult lesson for many to learn, including parents, is that being pretty, or not so pretty, is of no consequence. We must seek to look beyond the mere externals and place all our focus upon the soul. Where there is sin, that sin must be gently addressed. Where there is virtue, that virtue must be nurtured so that it can grow. It is this form of subtle attentiveness to the most important characteristics in life that helps others grow in holiness. Reflection: How much attention do you give to externals which are, in the end, of no eternal consequence? It’s understandable that we are concerned about how we look. There is no sin in seeing one’s exterior beauty. However, there is much greater virtue in being attentive only to the beauty of one’s soul. Reflect, today, upon how focused you are on the mere superficial aspects of life. Reflect, also, upon your conversations with others, especially children. Examine your conversations and commit yourself to an imitation of Thérèse’s sisters who kept their eyes on the true beauty of their sister. Dearest Saint Thérèse, you were blessed with sisters who saw your true beauty in your virtues and the grace of God at work in your precious soul. Pray for me, that I may keep my eyes on the beauty that is eternal and be unconcerned about that which is fleeting in this world. May I also be attentive to that true beauty in others so as to imitate the holy care of your loving sisters. Saint Thérèse, pray for us.